“JR Jayewardene unanimously elected UNP party president at special meeting of working committee April 26. Conference was managed by Dudley Senanayake appointees, with Dudleys shadow all but eclipsing J. R. as part of reported deal with working committee” the US Embassy Colombo informed Washington. “As UNP chieftain, Jayewardenes principal weakness is lack of national following relative to popular affection and charisma which Dudley enjoyed and which evidenced at his funeral.” US Embassy Colombo said in a confidential cable. “Political history of Ceylon since independence in 1948 has basically been struggle between two families, Bandaranaikes and Seyanayakes, to control country. Efforts now reportedly being made by Senanayake family, headed by dudley’ s brother Robert, to maintain UNP control and possibly groom one of Robert’ s three sone for future role in politics, much as PM Bandaranaike has apparzntly sought to groom her son Anura. Selection of J. R. to head party for moment appears likely but ‘old guard’ means to keep string on him and check any tendency to slide back into previous thoughts of coalition with Mrs B.” the Embassy further noted. UNP working committee scheduled meet 26 april to select new party president following death of Dudley Senanayake. Widely expected that opposition leader knd UNP Gen Sec J. R. Jayewardene will be unanimous choice. His selection represents compromise for what remains badly divided party. Jayewardene still bears legacy of INP resentment at his efforts last year to negotiate coalition of party with united front in framework of ” national government” as solution to country’ s problems. Other possible rivals to J. R. Include former agriculture Min M. D. Banda, an active ” old guard” backstage maneuverer but with burden of defeat in 70, and “young turk” M. P., R. Premadasa, who totally unacceptable to party establishment. J. R. anxious to obtain new post after three decades in Dudley’s shadow, and Dudley Senanayake – nominated working committee reportedly has demanded as its price public pledge from jayewardene to continue adherence to dudley line and to lead unp as genuine opposition party. In any event, J. R.’s post technically will be interim until confirmed by party congress. Latter has been long delayed and can be called at short notice, with threat of possible repudiation seen by party regulars as keeping J. R. in line. Political history of Ceylon since independence in 1948 has basically been struggle between two families, Bandaranaikes and Seyanayakes, to control country. Efforts now reportedly being made by Senanayake family, headed by dudley’ s brother Robert, to maintain UNP control and possibly groom one of Robert’ s three sone for future role in politics, much as PM Bandaranaike has apparzntly sought to groom her son Anura. Selection of J. R. to head party for moment appears likely but “old guard” means to keep string on him and check any tendency to slide back into previous thoughts of coalition with Mrs B. Unprecedented scale of popular mourning for Dudley has enormously buoyed up UNP confidence. Outpouring of sentiment, presence of large crowds of mourners streaming past Dudley’ s bier and at funeral, including many hundreds of thousands of villagers, are interpreted by pro and anti- UFG opinion alike as reflecting deep dissatisfaction with gsl’ s economic policies. UNP is immediate beneficiary of this mood. UNP has now cancelled previous plans for its may day celebrations, nominally out of respect for Dudley, but reportedly to underline contrast between whatever turnout UF parties can muster on galle face green on May 1 and Dudley Senanayake funeral. Leader of opposition in NSA J. R. Jayewardene unanimously elected UNP party president at special meeting of working committee April 26. Conference was managed by Dudley Senanayake appointees, with Dudleys shadow all but eclipsing J. R. as part of reported deal with working committee, J R immediately issued statement to press noting his ” full awareness of ideals that (Dudley) wished party … should adopt and follow”. These listed by Jayewardene as protection of Buddhism, belief in democratic constitution and freedoms, judicial autonomy, agricultural self- sufficiency. J R pledged personal effort to oppose “any attempt by any organization or individuals to destroy them”. In spite of short leash party old guard many believe is firmly attached to J R, latter cannot be expected to let it rest unchallenged. 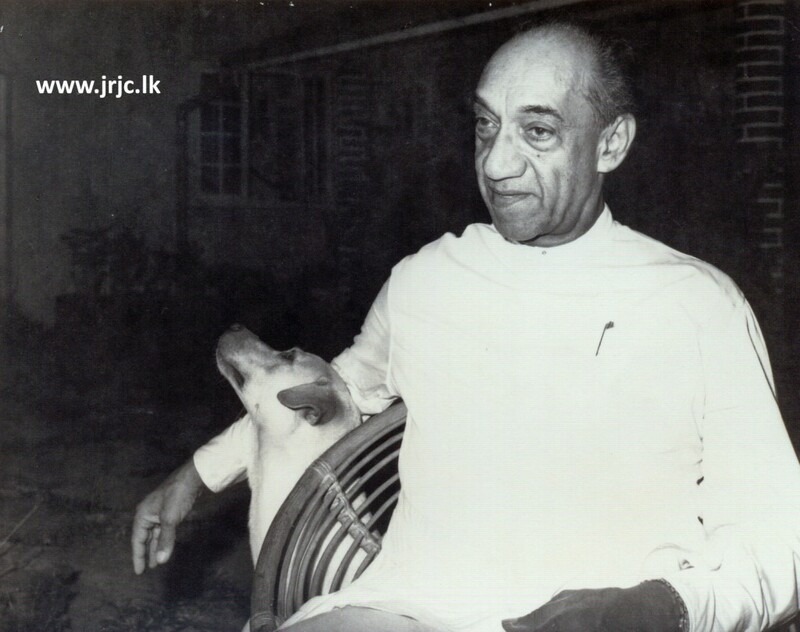 Jayewardene renowned in Sri Lanka for intelligence, skill, and ruthlessness in party infighting, one reason why he and not Dudley was opposition leader and UNP general secretary. Almost certainly JR will launch effort to make party machinery his own, thereby broadening options open to him, and he may well succeed. He has not rpt not formally repudiated attempted overtures for coalition with united front, ploy which could still surface at later date. One immediate issue to face will be shaping party attitude toward maverick M. P., R. Premadasa, who has spearheaded drive in recent months for internal reform of party to broaden mass support. Jayewardene reportedly prepared to expel premadasa from party if latter continues opposition to leadership. Premadasa resigned several months ago from working committee. As UNP chieftain, Jayewardenes principal weakness is lack of national following relative to popular affection and charisma which Dudley enjoyed and which evidenced at his funeral. This could be handicap to party if it aspires to challenge UFG in vigorous and meaningful terms. Reservations which many ceylonese observers have toward J R stem from their belief that latter more inclined to seek advantages for party by maneuver and negotiation with UFG, in particular with SLFP and Prime Minister, than through hard hitting opposition tactics in parliament and in hustings.